I’ve been postponing this post for a long time and I’ve been trying to forget the situations that we have been through. Reading other blog posts on this subject helped me realise that it’s time to tell our story. It also helped me realised just how unbelievably lucky we are compared to other poor souls. Yes, we have had multiple miscarriages. This is our story. I would never really describe me/us as a traditional person/family. I remember thinking as a child that traditional things are highly likely to be something boring, but now I’ve changed my mind. Since realising that you can basically make your own traditions up, I feel more compelled to try out new things of our own accord and see how they work out. When it comes to Christmas we still do everything the same way as was done when I was a kid. Christmas presents, visit family, advent calendars, Christmas music on the radio, Christmas TV specials, maybe even a walk out somewhere cold (and probably muddy). But since we have been parents, New traditions are starting to weave their way into our annual celebrations. “Daddy I want a horse!”. “I want to drive the car!”. “That’s mine!” (Any object whatsoever). “I want to watch your tablet!” (4.32AM). “I want cake!” (All day at random times). Read more after the break where you can have the chance to win one of these great devices. Apart from checking to see if all the homework has been done, here’s some extra tips going into the new academic year, especially if your sprog is going into year one. Find out what to expect and the essential parental inner knowledge you might need. Great idea here, for all bloggers alike! As bloggers, we are always looking for engagement and inspiration. And one thing I’ve learned is that we’re all a pretty supportive bunch and want the best for everyone. 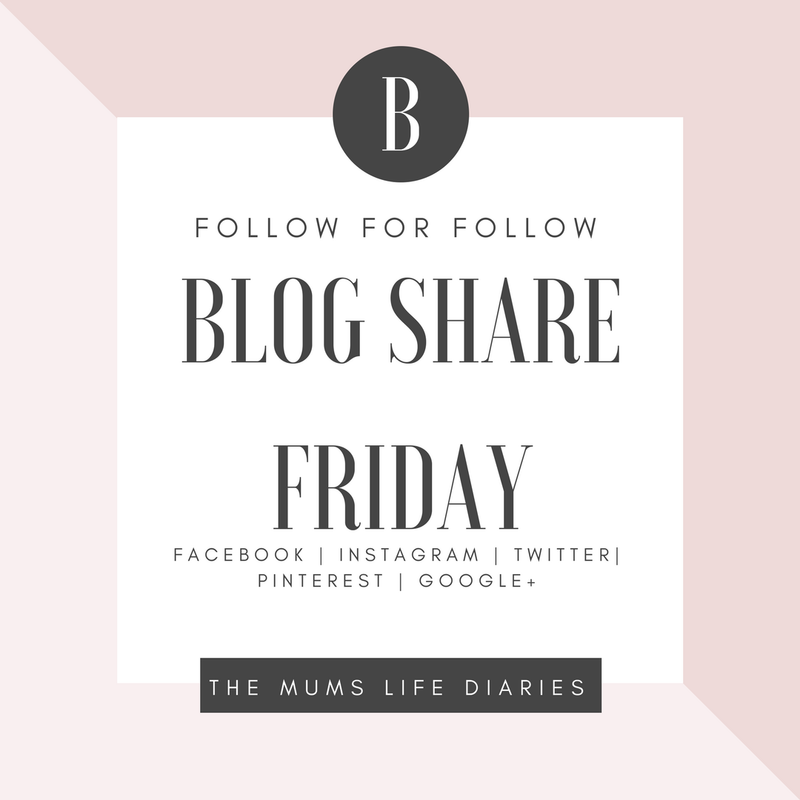 So I’ve decided to run a little Follow For Follow Blog Share Day here on The Mums Life Diaries where we can all discover and support new and upcoming blogs from every niche & category. The idea is to share and follow other blogs and in-turn, they follow you back. For example: You follow my blog, I’ll follow yours back. You share my blog, I’ll share yours. You follow me on Bloglovin, I’ll follow you on Bloglovin etc.